A software fix to prevent cars from accelerating out of control prompted Fiat Chrysler on Friday to issue a recall for 4.8 million US vehicles. While the flaw would require an unlikely series of events to happen simultaneously for an incident to occur, the company said it was committed to the safety of consumers driving any of the nine affected models of cars, vans, trucks and SUVs from model years 2014 to 2018 and in one case the 2019 model year. The company will provide owners with a free software fix to prevent the cruise control system from locking up as the car accelerates, preventing the driver from deactivating it. The problem would only occur if the acceleration occurs simultaneously with a short-circuit in a specific electrical network, FCA said in a statement. "Notwithstanding the extraordinary circumstances that must exist before a customer would experience a problem, we are taking this action because we are fully committed to vehicle safety," said Mark Chernoby, the company's head of vehicle safety and regulatory compliance for North America. Drivers could override the cruise control in case of a failure either by braking or switching the vehicle into neutral. The company said it was unaware of any related injuries or accidents involving the affected vehicles but warned drivers to refrain from using cruise control until the software fix is made. 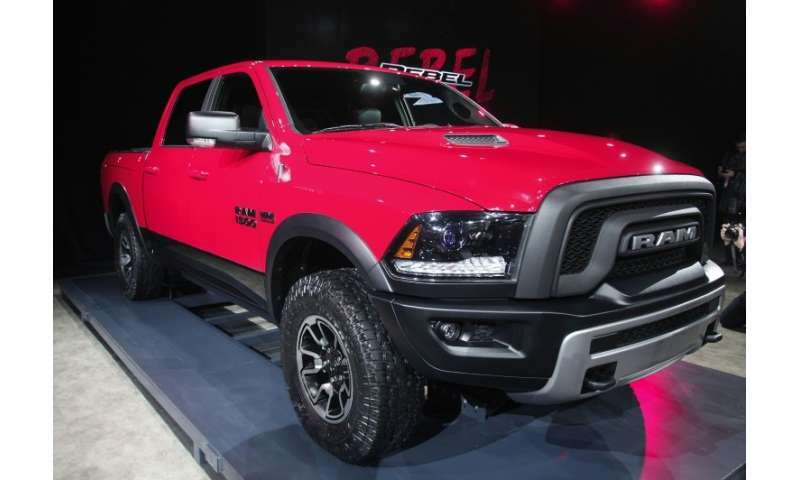 The models include the popular Ram pickup trucks of all sizes, the Jeep Cherokee and the Chrysler Pacifica minivan.